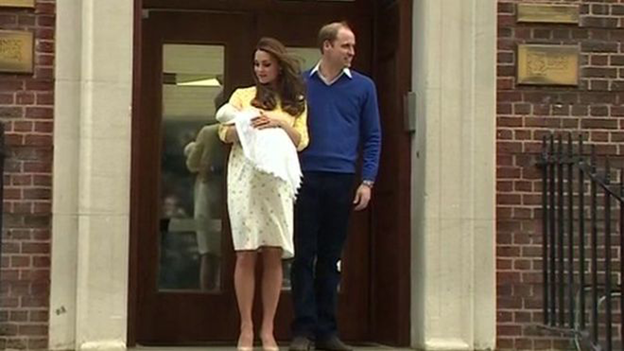 The Duke and Duchess of Cambridge have appeared outside the hospital with their daughter, who was born earlier on Saturday. The princess slept in her mother's arms during her first public appearance on the steps of St Mary's Hospital. They then left for Kensington Palace. 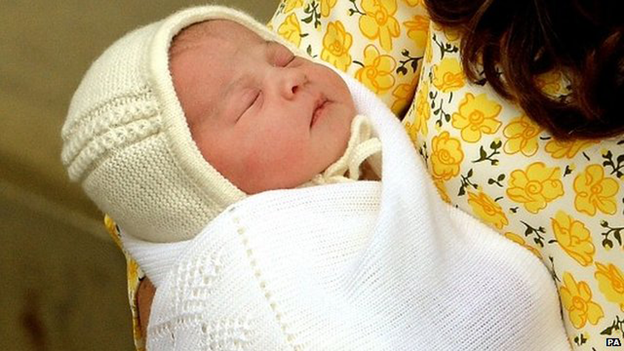 The princess - who is fourth in line to the throne - was "safely delivered" at 08:34 BST after a short labour. The Duke of Cambridge was present for the birth of the 8lbs 3oz (3.7kg) baby.